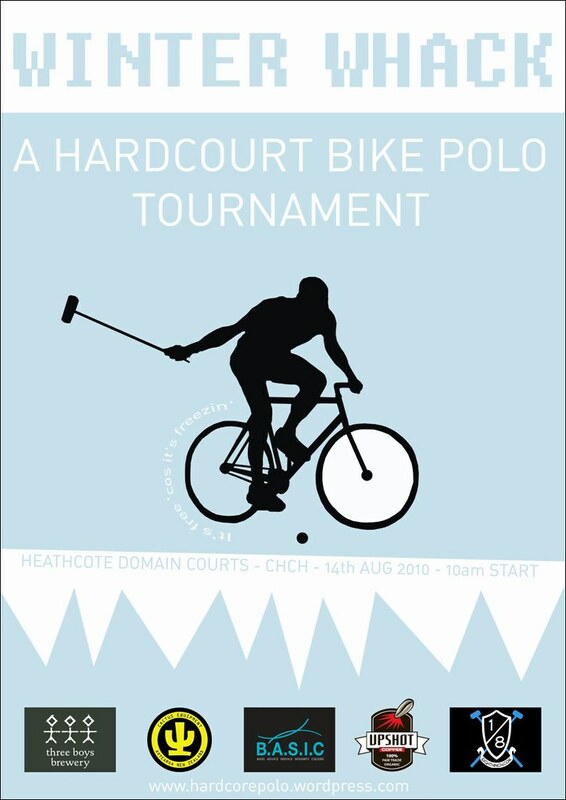 A Hardcourt Bike Polo Tournament, just what you need to warm up a bleak Christchurch winter. Sort your teams of 3. We’ve even got prizes to add extra motivation! – Saturday 14th August 2010, 10am start (just after the frost has thawed). Yep it’s the same date as the Worlds in Berlin… “Christchurch – The Berlin of the Southern Hemisphere”. 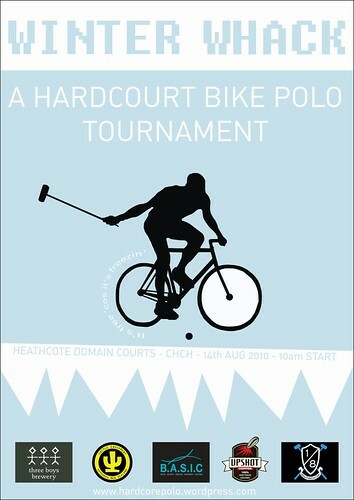 This entry was posted by Doug D on July 6, 2010 at 12:42 am, and is filled under Bike Polo, Events-Past, Past Polo Events, Suggested Topics. Follow any responses to this post through RSS 2.0. You can leave a response or trackback from your own site.